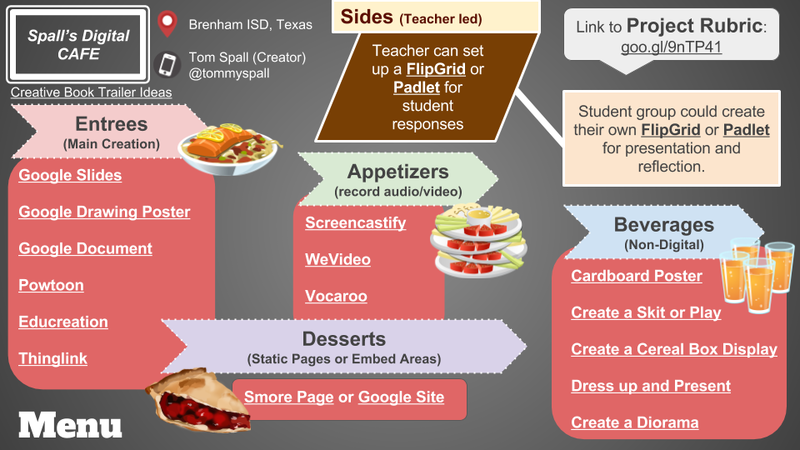 Digital Menu Template for Student Creation! I used menu's all the time when I was a classroom educator. I used them for student differentiation, student voice, and choice, and to allow my students to be creative with multiple non-tech mediums. Shoe box full of clues from the story. Usually describing a character, plot point, or climax of events. Now, of course, "back in the day" (9 years ago when I first started teaching), I didn't have any technology in my classroom. 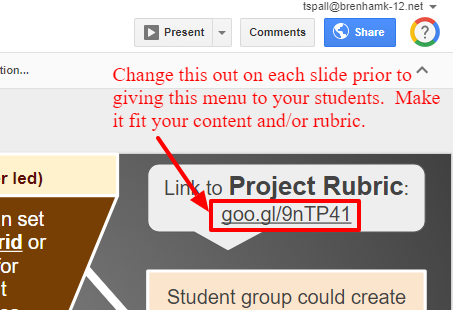 So, the first couple menu's I made for student creation didn't involve any technology. Every "item" is linked to another slide in the preso. I also included a back button for easy navigation. Thanks for sharing. When I hit copy it doesn't do anything however. Thanks, Christine! This has been fixed! Thank you for your comment! All the links should work properly now. Wow, this will be a real help. I chose “differentiation” as my professional growth goal this year. You have saved me hours, no days, of effort and struggle! Thank you for the great template! I am definitely passing this along to my colleagues!